The proposal submission is eligible to all consultant firms or individuals. Instructions and Terms of Reference (TOR) are attached. Kindly write on the Subject Line “Tender No C11/Oct/2017operational research to evaluate the factors influencing low uptake waste management practices in per-urban area of Ilala municipality – Dar Es Salaam: and send to the address provided below. Please inform the Secretary of Tender Committee if you have received the inquiry and if you will be submit the quotation in hardcopy. DO NOT SEND PROPOSALS THROUGH E-MAIL, the provided E-mail address is only for inquiries. BOX 2773, Dar es Salaam. The baseline survey is to be completed at most within 35 working days after signing of contract and being paid an advance payment. Materials, equipment and supplies used by the Consultant are not permitted if they have originated in those states under embargo by UN. The proposals shall be written in the English language. Interested consultants must provide information on their credibility to perform the service by bringing their profile, description of similar assignments in the past three years, availability of appropriate skills among staff. You will also be required to provide names and addresses of at least three of your past and present clients, indicating date and status of the projects. The link between the Consultant and key partners as well as the communities. Technical oversight, quality assurance as well as quality control for the evaluation as necessary. Proposal must remain valid for 90 days after the submission date. •	The Consultant shall enclose the original and TWO copies of the Technical Proposal in separate sealed envelopes, duly marking the envelopes as “TECHNICAL PROPOSAL” and “ORIGINAL” and “COPY, as appropriate.” These envelopes containing the original and the copies shall then be enclosed in one single envelope duly marking the envelope as “TECHNICAL PROPOSAL”. Please include the CD with soft copy of the original proposal in Ms Word. 	bear the name of the Proposal as specified in the in this document; and bear a statement “DO NOT OPEN BEFORE ….” The date for opening as specified in the TOR. The minimum Technical Score required to pass is: 75 Points. Sf = 100 x Fm / F, in which Sf is the financial score, Fm is the lowest price and F the price of the proposal under consideration. Dar es Salaam is the country’s largest industrial and commercial centre with an estimated population of more than 4 million (2012) with a population growth rate of 4.3 percent and population density of around 2,700 persons per km². More than seventy percent of the population lives in unplanned and under-serviced areas of the city. It has been estimated that 4,200-tonnes of solid waste are generated in Dar es Salaam per year. This represents a generation rate of 0.93 kg/cap/day based on a population of 4.5 million (2016 projection). It is estimated that Dar es Salaam will be generating over 12,000-tonnes per day by 2025.This represents a tripling of the waste generated in just 14 years. The Dar es Salaam Local Authority (DLA) has also estimated that less than 40% of the total wastes generated in the city are collected and disposed of in the Pugu dump site or otherwise recovered. The remaining wastes (approximately 60%) are either dumped by the road side or into drainage canals contributing to health problems for local residents, annual flooding events and methane generation. Much of the waste quantities that are not collected are from unplanned and highly populated areas of the city. Amref Health Africa Tanzania, with grant support from Amref Health Africa Spain is implementing a 2-years Project on solid waste management in Buguruni, Kiwalani, Vingunguti and Kipawa Wards in Ilala Municipality in Dar es Salaam city, from 1st June 2017 to 31st May 2019. The Project is jointly implemented in collaboration between Amref Health Africa Tanzania and Ilala Municipal Council. This Project, is known as Taka Ni Mali (TNM), is contributing to the general Plan of the Urban solid waste management of Dar es Salaam City; and aims at improving Health and Livelihood of Ilala Population with attention to vulnerable groups of women and youth. The project will result into improved capacities and skills of Citizens and Government officials in solid waste management; developed a functional social enterprise models and strengthened initiatives that advocate for the promotion of solid waste management policies in Tanzania. The scope of this assignment includes, but not limited to, a review of project documents such as project proposal, other baseline reports on SWM and secondary sources that demonstrate experiences on household solid waste management in unplanned settlements (urban settings). The consultant should also conduct key informant interviews with potential stakeholders (Ministry of Health, Social entrepreneurs, private sectors/investors on solid waste management, Dar es Salaam Local Authority, and Ilala Municipal Council, Academic/ Research Institutions, Social enterprise groups (including women, youth and PLWHIV) and field observations to project areas at ward level. i. Review of relevant solid waste management documents and develop sound methodology for undertaking the assignment. ii. Conduct key informant interviews with target beneficiries and key actors (important stakeholders) relevant to this project. iii. Conduct field visits and discussions with entrepreneurs to learn more about solid waste business and challenges (operations, legal framework, sustainability etc). v.	Presenting findings to a stakeholders’ forum, dates and venue to be agreed during inception meeting. 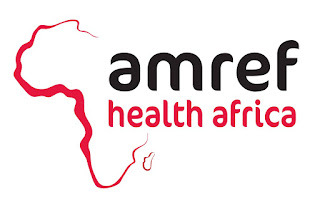 •	Prior to execution of this assignment, the consultant or team of consultants will work closely with Amref Tanzania and Ilala Municipal Council to develop a sound approach for undertaking the study. iv. 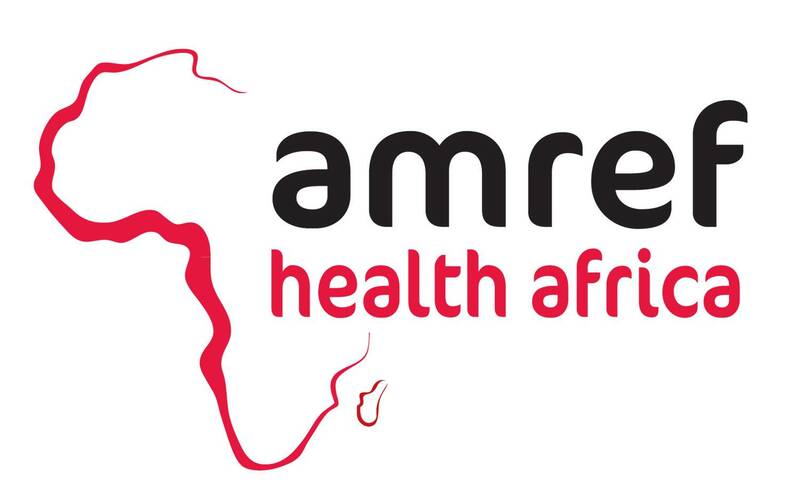 No lodging, boarding and other logistics will be provided by to the Consultant by Amref Health Africa Tanzania. i. An inception report, outlining methodological approach and agreed timeline to accomplish the assignment. The consultant should be able to accomplish all stated activities within 35 working days including final baseline report. The table below provides an estimate on timing of the assignment. iii. Key competence on qualitative data analysis and report writing. v.	Have good understanding of existing policy and strategic framework for sanitation and hygiene in Tanzania. vii. Fluent in spoken and written Kiswahili and English. i. The consultant will present to stakeholders the inception report (PowerPoint not more than 20 slides) within 2-weeks, outlining methodological approach and agreed timeline to accomplish the assignment. The format of draft and final report of the baseline study will be agreed during inception meeting. iii. The consultants will take into account those comments in preparing of the final report 5-copies (plus a soft copy) with 30-40 pages (including appendices), same format as the draft report. P.O. Box 2773, Dar Es Salaam. Only applicants meeting the minimum requirements shall be contacted for further discussions.